lanning a trip to Alaska? Find out what to do near Wrangell St. Elias National Park! 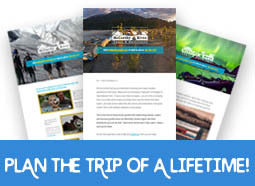 Planning a trip to Alaska? 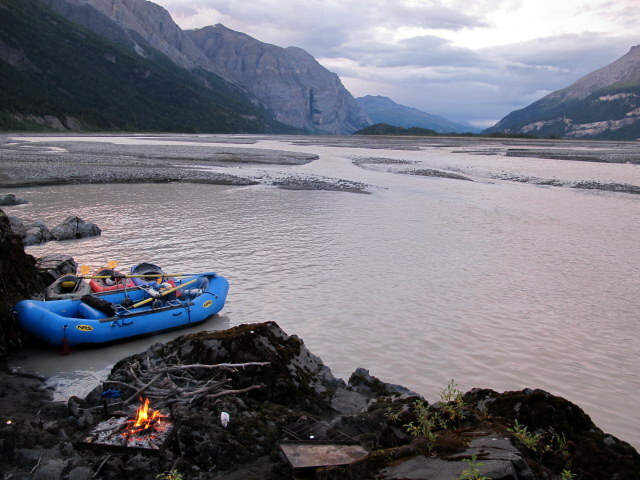 Find out what to do near Wrangell St. Elias National Park in our Alaska Adventure Vacation guide! Overwhelmed with what to see and the distance between places? Most folks visiting Alaska for the first time are often caught off guard by the length of travel between destinations. While a four to eight hour drive is often just part of an Alaskans weekend travel plans, trying to make plans to get from Anchorage, the Kenai Peninsula, Denali, Fairbanks, McCarthy and other possible stops in your allotted week or two week vacation can be impossible. You need to make plans to see the best places, fit in as many activities as you can and make it all happen before your departure flight takes you home! 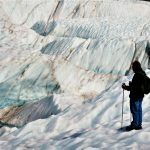 While we can think of a million reasons why McCarthy and Wrangell St. Elias National Park should be at the top of your travel list, we have narrowed it down to some of the top reasons to put the Wrangell Mountains at the top of your Alaska vacation. 320 miles of breath taking Alaska scenery awaits all travelers making their way to McCarthy. If you ‘google’ the McCarthy Rd, you will find no shortage of “worst road in Alaska” write ups, the truth is, the state has been steadily upgrading the road for the past decade. Widening, straightening and grading has decreased the average travel time and flat tire occurrences significantly, prompting locals to remind folks that the journey is part of the experience as well, keep it slow and steady for the safest trip! Some car rental companies have a standard agreement that does not allow for travel on gravel roads, in these cases you can ditch the rental car at the airstrip in Chitina and catch one of the multiple daily air taxis offered by Wrangell Mountain Air. Like the outdoors? McCarthy has no shortage! 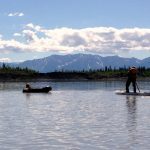 Surrounded by the 13 million plus Wrangell St Elias National Park, our little town has an activity to sate any adventurer. 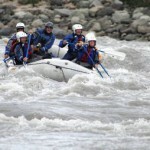 Some of our favorite day trips are Glacier trips including hiking and ice climbing, a Bonanza Mine hike and, of course, River Rafting. You can also spend time exploring the historic mining towns of McCarthy and Kennecott through professionally or self-guided tours as well, our popular McCarthy Then & Now Tour takes you on a journey through the past and present activities of the denizens of our little town. Take your vacation a step further and schedule a multi-day trip deep in to the wilderness, with only 110 miles of roads, there are millions of acres left over to explore by foot or raft! 3) The (Lack of) Crowds! Many folks that visit Alaska stay on the “Rail Belt.” Visitors swarm to Anchorage, Fairbanks, Denali and the Kenai Peninsula. With a fraction of the visitation, McCarthy and Wrangell St Elias National Park makes for a great get away from the serious crowds. 13 million acres of Park and an average of 18,000 visitors a summer, the park has plenty of square footage for each visitor! The McCarthy/Kennecott area has a myriad of great local businesses. Unlike other National Parks, there is no large concession that runs the hotels and eateries. Every business is locally owned and that shows. Our town is filled with creative, hardworking folks that put their own personal flare and ideas into their business. Each lodge, restaurant and guide service has a unique local character, offering a visitor their choice of experiences. 13 million acres of Park & Preserve, the largest designated wilderness in America, the largest concentration of glaciers in North America and a multitude of 16,000 ft.+ mountains define Wrangell St. Elias National Park. Standing on the footbridge at the end of the McCarthy Road, you can get a 360 degree view that includes the mile high Stairway Icefall, two gigantic glaciers, the Kennicott and Root, 8,000 foot peaks including Fireweed, Porphyry and Bonanza ridge AND a to the south, the Chugach Mountain Range, 400 miles of hard rock mountains that run along the Alaska Coast… Not too bad for only having to turn in a simple circle! The scenery is unbeatable, we covered that, but what really makes McCarthy/Kennecott special is the people. The local residents are truly as colorful as the scenery. You may have seen some ‘glamorized’ version of Alaska on any of the numerous Alaska reality shows, but actual true to life McCarthyites are far more interesting. Mingle with locals at the weekly town Softball game or in the confines of the local pub, The Golden Saloon. Buy ‘em a beer and spend some time finding out about local favorite hikes and activities, or be regaled with stories of exploits and glory… all true of course! 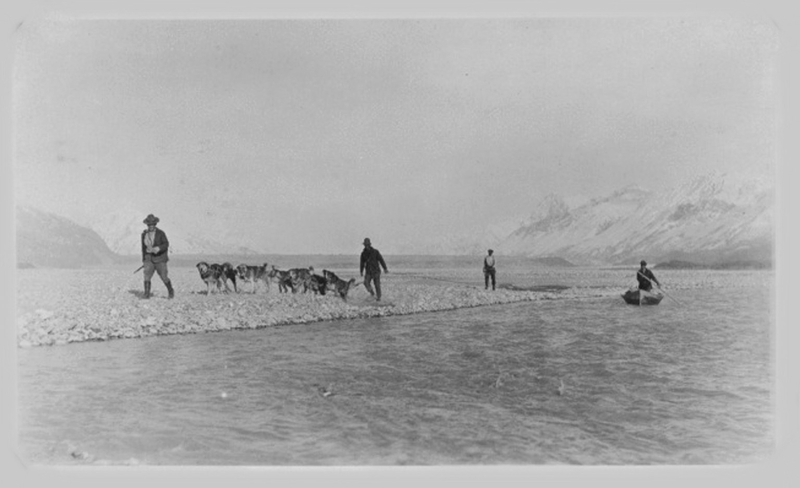 At the turn of the 20th century the gold rush on the Klondike was petering out, Nome was flooded with prospectors and people were searching for the next great strike. Following the Copper River up from its delta and scaling the mountains outside Valdez, prospectors flooded in to the Copper River Valley and all of the rivers major tributaries. Colorful characters like “Tarantula” Jack Smith, Clarence Warner and John Barrett made their way to the Kennicott Valley hopeful of finding their riches. After a Copper Claim was staked on the flanks of modern day Bonanza Ridge, an Assay of the ore showed incredible purity and attracted an investment interest from a few well known American families, the Guggenheims and Morgans. The claims on Bonanza Ridge would eventually become the purest copper ever found on the planet, and make the investing families over $200 million in riches. The exploitation of the mines in Kennicott and the lack of oversight that was afforded the Territorial Government would eventually become one of the leading rallies for statehood, giving Alaskans the ability to control the rich mineral wealth of the 49th state.